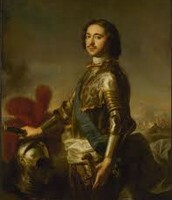 He built Europe's biggest army along with a very impressive Navy. Modernized the Russian Alphabet, and he created the Julian calendar. 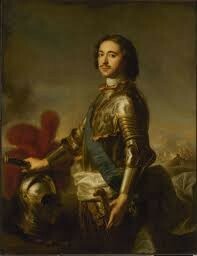 In 1709 he defeated the Swedes and won territory over the Baltic Sea. 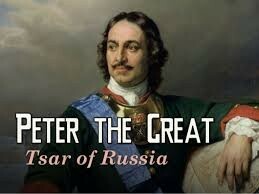 On this new land he built Saint Petersburg. He was not well educated and very simple minded and curious. He was also hardworking and very determined to get things done. 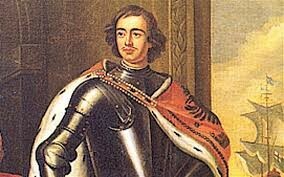 Peter the Great was an absolute ruler who enforced all of his laws with cruel and harsh punishment. Catherine the Great encouraged French language and customs, wrote histories and plays, and organized performances. She also extended the boards of Russia and westernized Russia. Later on in 1776 she created a major cultural institute called the Great Theater in Moscow. She had a very bright personality and she always had a strong sense of determination. She also was very intelligent and learned Russian and embraced the Russian Orthodox Faith. She developed a system called the "Code of laws" which proposed a system providing equal protection under the law for all persons and expressed many criminal acts instead of giving them harsh punishment.